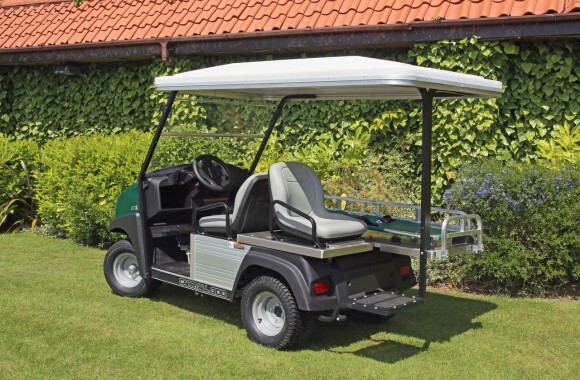 Modified to help in emergency situations the Club Car Medical Buggy comes with a flatbed for safely carrying patients and storage for a first aid kit and medical supplies to administer emergency care should it ever be needed. How quickly could you get support get to a medical emergency? In the case of many medical emergencies time is often key, however not all incidents occur in locations which are easy to reach by a normal ambulance, for example a pedestrianized shopping district, a county park, or on a golf course. This is where the Club Car ambulance fits in, due to its size Club Car’s Ambulance is able to get where regular ambulances can’t, and can be kept on site in case of an emergency. Therefore, initial medical support is available to the person in need significantly faster than a regular ambulance would be able to provide, which can drastically improve survival rates in the most serious cases. 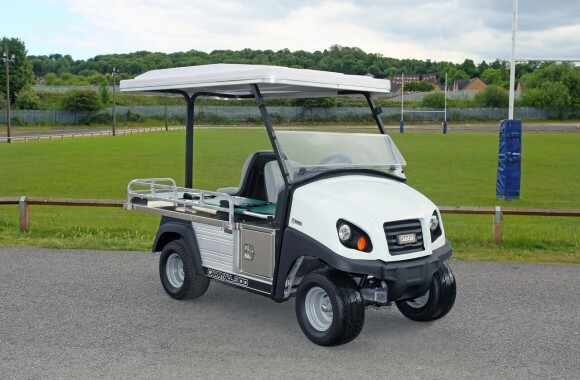 The ambulance buggy is also becoming increasingly popular in sport, with the FA recently having purchased two vehicles for use at the England training facility St Georges Park. 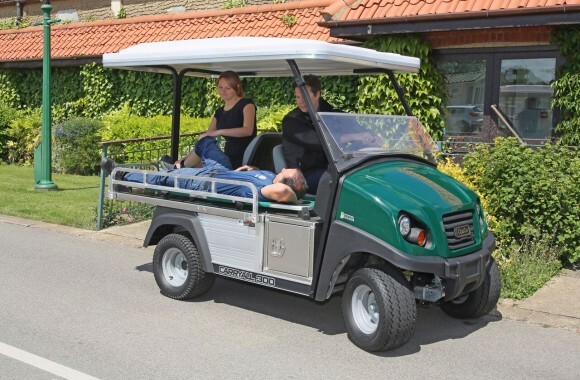 The Club Car ambulance is also perfect for use at sports clubs and during sports training. Many football, rugby, and cricket clubs already use the utility style ambulances to quickly carry injured players from the field. What’s more the club car ambulance is also a common sight at many UK premiership football training grounds, where it is used to transport injured players safely to a location where they can receive treatment. This year has seen MTS Group supply the FA’s England Training Facility St Georges Park with two ambulance buggy’s to use carrying injured players from the training field. 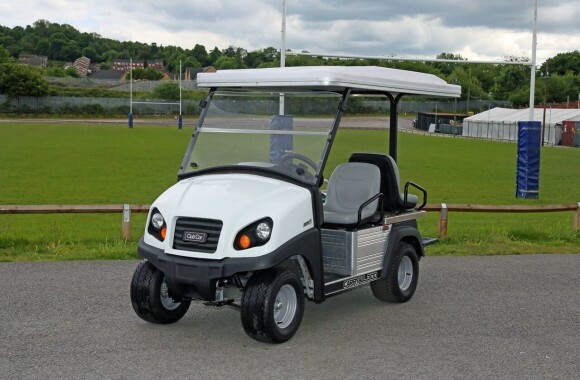 To find out how the Club Car Ambulance could benefit your sports club, please contact 01924 387 007 or enquire through the website.